Click the virtual tour link for a 3D walk through of this cute, larger than it appears ranch style home with full basement in Lincoln Park. You will be shocked at the space and function in this beautiful three bedroom, three full bath home. Vaulted ceilings with skylights allow tons of natural light into the space. Recently remodeled kitchen offers white shaker cabinets, stainless steel appliances and granite counters with island and dining/eat-in space. Sliding doors off kitchen lead to back deck and landscaped yard with paver patio and magnolia tree. 2 Car Garage for easy parking and storage. Main floor has two bedrooms and two baths. Lower level has third bedroom and full bath with family room, laundry room, and a huge office. 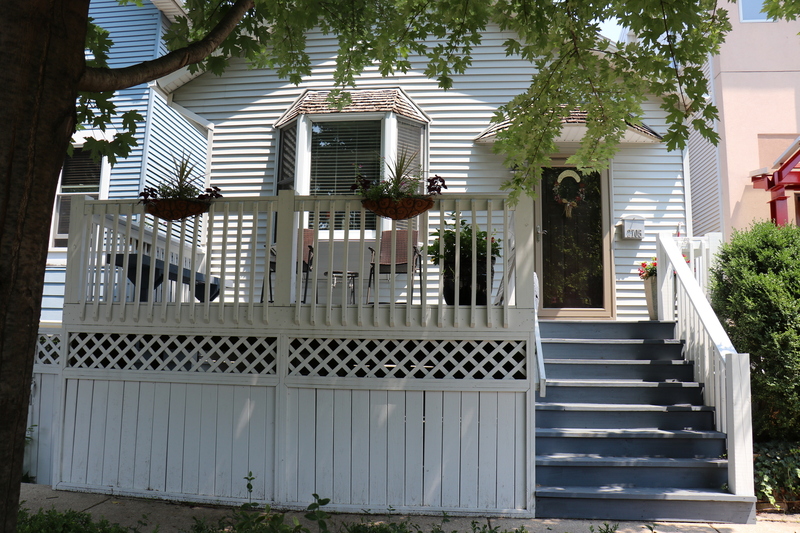 This home is situated on a standard city lot of 125 x 25. Located on a tree-lined street a block away from Wrightwood Park! Great alternative to a town home or condo with tons of finished space in the first floor and finished basement! Directions 1 street west of Ashland, just north of Wrightwood. Property information last modified by seller on Wednesday, March 20, 2019, 10:18 AM CDT. Information Deemed Reliable But Not Guaranteed. Unauthorized duplication, use, or linkage is prohibited. The information on this web site is for personal, non-commercial use and may not be used for any purpose other than to identify prospective properties consumers may be interested in purchasing. Monthly Payment Calculator results are for illustrative purposes only, not a financing opportunity; calculations assume a 30-year fixed-rate mortgage and do not include closing and other costs. Property Tax on NEW properties is estimated at 1.5% of Listing Price for payment calculation purposes; actual value may be higher or lower.